"Its a cooker. The cooker is a kettle. I couldn't paint the kettle as it wouldn't stay still but i did the outside of it. I couldn't do the lines. Because mum, i tried to get a picture of the kettle but i couldn't paint a picture of a kettle. Maybe i'll try again later"
"That's a planet. No, it's the moon rock. Behind it is Mars. But mum, i couldn't paint the butterflies in space. They wouldn't stay still." 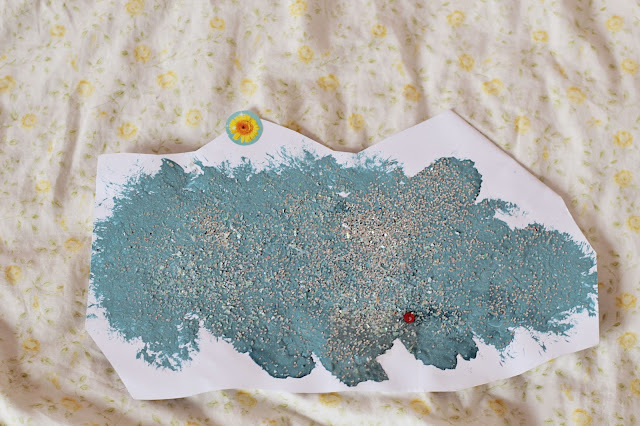 "This is my ghost called Jennery"
"It's a treasure map. I didn't want to draw a treasure map. I wanted to paint one." "It's an apple and ice cream pancake. There is apple on it but you can't see it because its invisible." 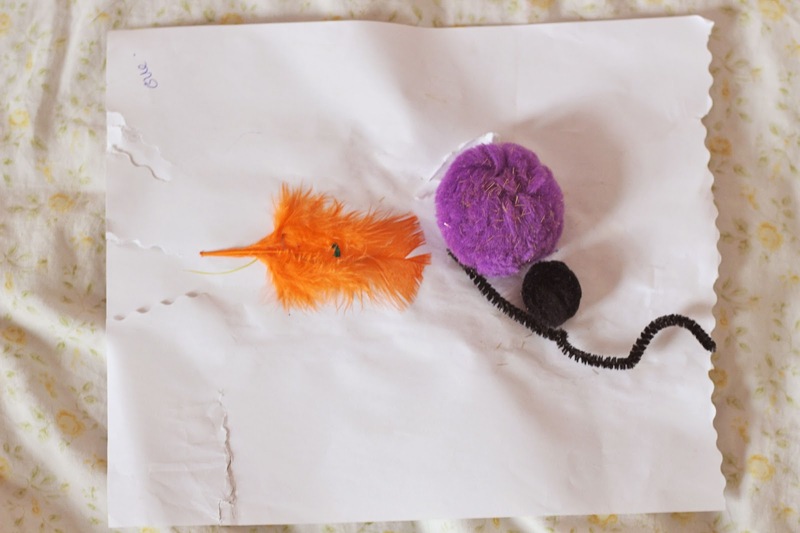 "That's a feather and a pom pom. It's a crow. I couldn't do the beak and the wings and the feathers and toes. They couldn't stay still long enough"
"A dog paddle. It's when dogs go into water. It's their little footprints. Doggy footprints. Doggy footprints are the shape of dogs." "A water colour pine cone. A pine cone is a pine cone. What's a pine cone? What shape is it?" "Oh yes! That one is mars it is. Mars. That's the one behind the moon." "Oh mum! That's a dean. It's when something little sprays water everywhere." I have two draws full to the brim in my kitchen of Elle's artwork. I am also getting more and more handed to me from her pre-school when i pick her up. It has gotten to the point where i just don't know what to do with it all. I can't bring myself to throw any of it away. 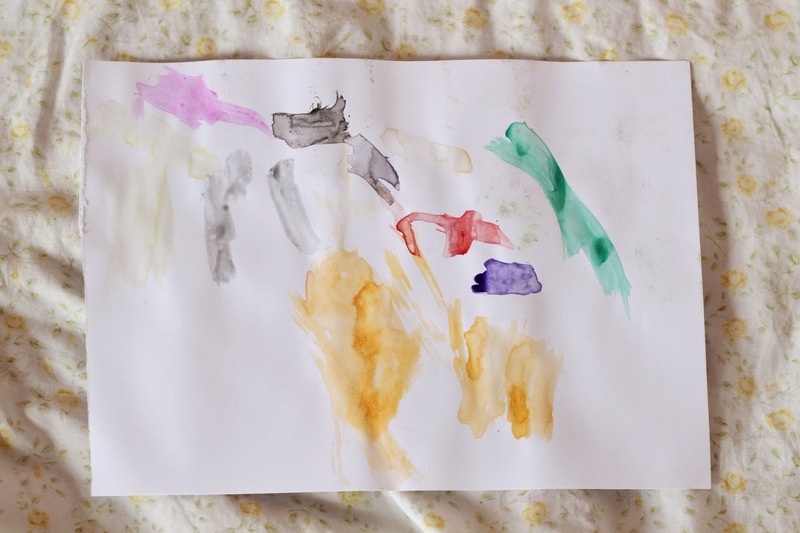 I have been taking pictures of all of her artwork so i have a record of them in case something does happen. I have been looking online for ideas as to what to do with her art. 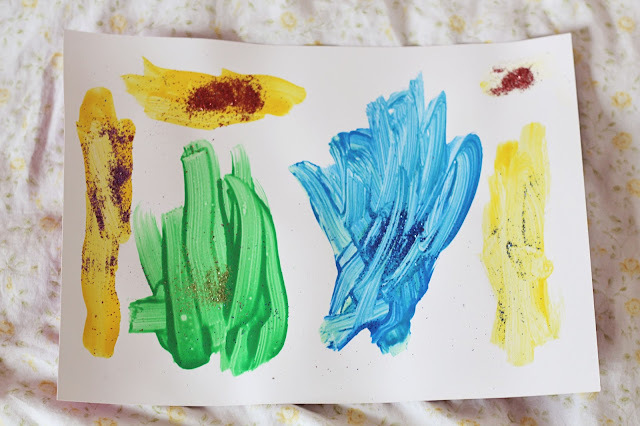 There are companies that you send photographs of the artwork to and they turn them into books but when your little ones are painting and drawing everyday, this can become expensive. 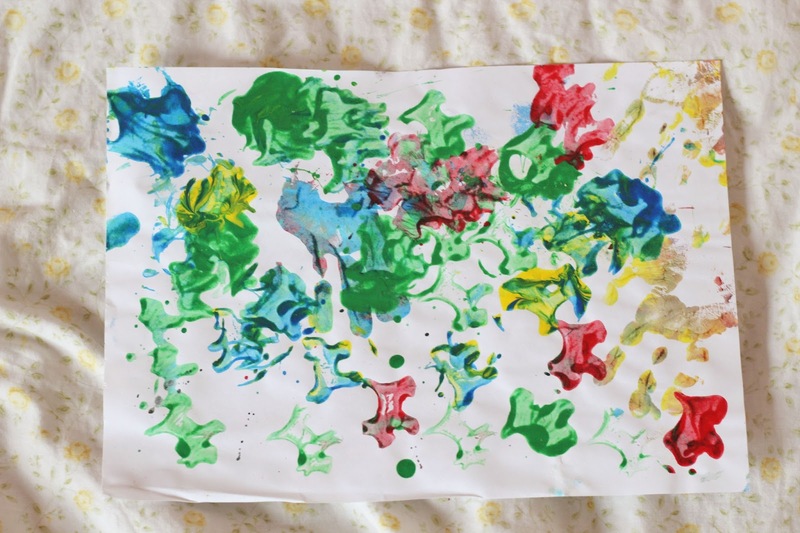 We are a family on a budget and this little girl loves to paint. 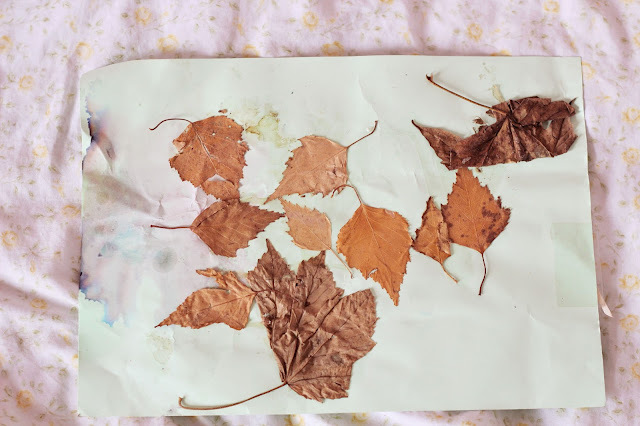 I thought about making a big scrapbook but again, where do i keep it and i shall have to make more and more over the next few years and then we shall have the problem of storing them again. What can be done? 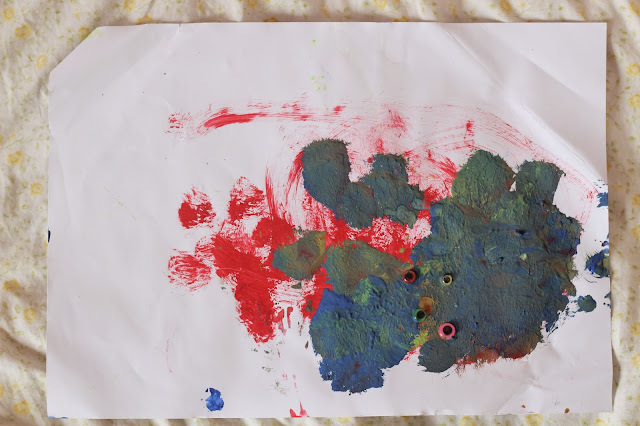 What do others do with their little ones artwork. We have our fridge full, we have art taped up around the house. I thought about taking a picture of the painting, uploading it to a photo storage website and then throwing them. Does this make me a bad mum? Is it something other mums do? 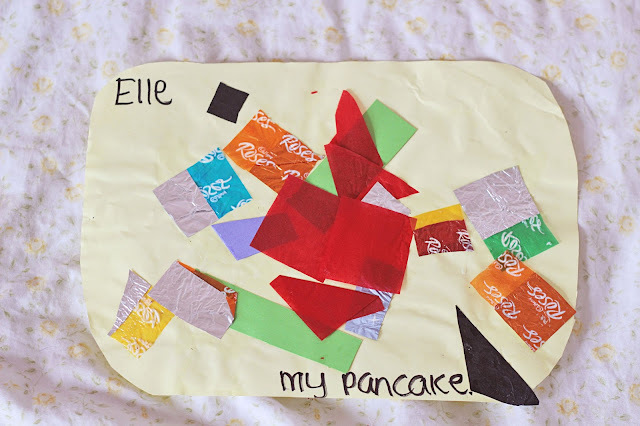 I wanted to start a little feature on the blog where i can upload pictures the girls have created. As i uploaded these, i asked Elle to tell me about each picture and i typed exactly what she said. I love that i can come back and look at these with her in a few years. 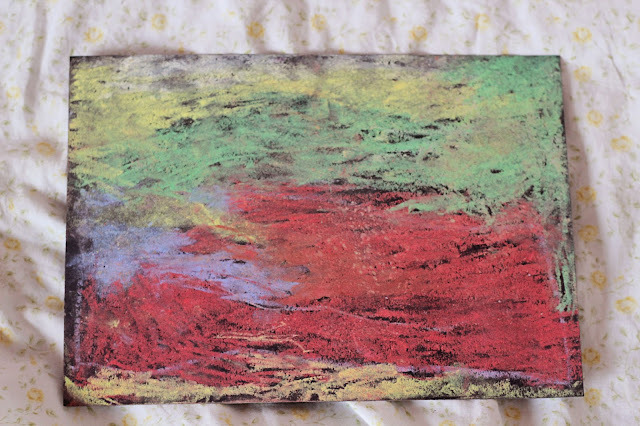 I am excited to start doing this with Mia also as she is beginning to love painting more and more also. Any advice on what others do with their little ones artwork would be gratefully received! 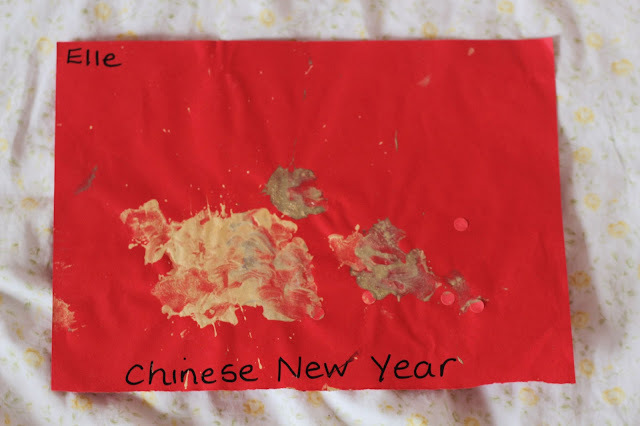 This is sooo cute :) I don't think throwing (a part of) the painting away would make you a bad mum! You can't keep everything... And if you take photos of all the paintings and store them on the computer and online (with those lovely descriptions) you will still have the images and the memories without having to keep all the actual artwork. I hope you'll share more of these, I love Elle's descriptions. She sure has a lot of imagination! Cute little pieces of artwork. Your girls are adorable and sound like they are so much fun! My little girl is only Mia's age and I've chucked a lot. The nice ones I've hung on the wall up the stairs but there is only so much room. I've seen houses with one wall dedicated to children's artwork. Just stuck in one big collage. It's pretty nice.